Subaru owners actually take their Crosstrek, Outback and Forester vehicles off-road and you won’t find their cars sitting in the garage when it snows. The Subaru brand is about building all-wheel-drive vehicles with a “go-anywhere” attitude. If you have the right tires, the Crosstrek, Outback and Forester will get you off the beaten path and far away from civilization. With spring here, Subaru owners will head to the mountains for hiking, biking, fishing and camping excursions. Pirelli just launched a new Scorpion all-terrain tire, and they are perfectly designed for your Subaru Crosstrek, Forester or Outback. 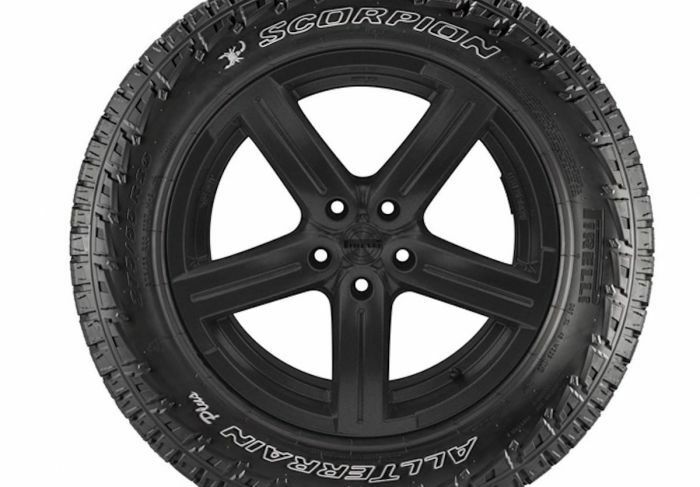 Pirelli unveiled their new Scorpion All-Terrain Plus tire at the Las Vegas Motor Speedway for the press and they feature a more aggressive design than some other all-terrain tires. They come with a “new generation tread compound” to maximize driving performance in extreme off-road conditions. Pirelli says they are the perfect balance for on and off-road so you can run them year round. They also offer excellent snow traction and are winter-rated with the three-peak snowflake sidewall marking. Approximately 97 percent of the tires in the U.S. are "All Seasons” and come standard on every Subaru (except WRX, STI, and BRZ, which wear summer performance tires). With All-Season tires, your Subaru, Crosstrek, Outback, Forester or WRX/STI will perform admirably in a variety of temperatures and conditions. But you need the best all-terrain tires with aggressive tread for extreme off-road use. The Scorpion All-Terrain Plus comes with a 50,000-mile tread warranty and is now available to order in the most popular sizes, with the full product range available by Q3 this year. Make sure you fit your Subaru with four tires that are the same size and of the identical category in order to maintain optimal driving performance. Buying the right “all-terrain” tires can give you instant “bolt on” traction, confidence, and control for extreme off-road use this spring and summer. New Pirelli Scorpion All-Terrain Plus tires may be the best all-terrain tires for your Subaru Crosstrek, Outback, and Forester to get you off the beaten path. Oddly enough, this is the most exciting news about Subaru carlines this month, which is really sad... I may opt for these tires on my XT next winter.